Mercedes C Class review Interior, Sat Nav, Dashboard | What Car? 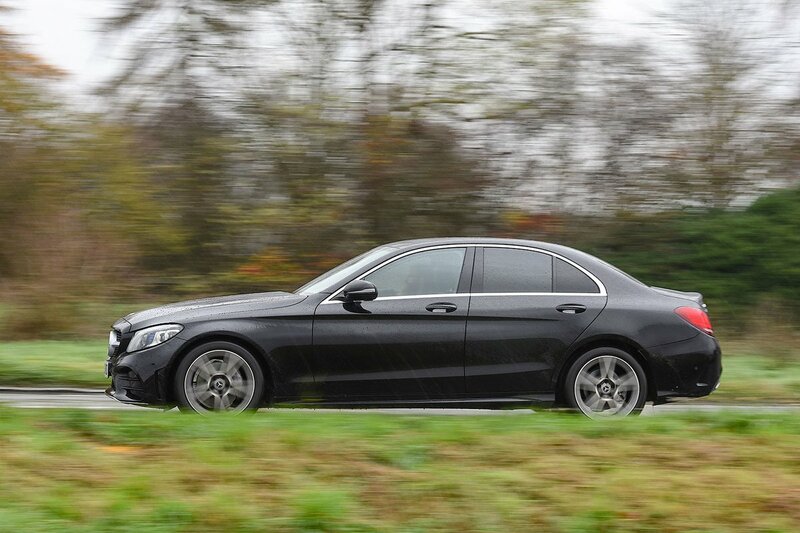 Most folks should have no problem getting comfortable behind the wheel of the C Class. There’s plenty of adjustment to the driver’s seat (including electric adjustment for height and seatback angle, plus four-way lumbar adjustment, on all models) and the steering wheel moves a long way in and out, as well as up and down. That said, there’s a bulge down by the footwell that interferes with the position of your left leg, and the space around the rest for your left foot is rather limited if you have big feet - problems that are less of an issue in rivals such as the A4 and 3 Series. The relatively few buttons on the dashboard are within easy reach, mind, and simple to use, while everything else is controlled via a rotary controller and touchpad on the centre console – which we’ll talk more about in the infotainment section. The standard analogue instrument dials are also clear, while a 12.3in digital display is available as an option on non-AMG versions. This can show a sat-nav map, for example, just below your line of sight, but it comes as part of an expensive optional package. You get a good view out of the front of the C Class, so it’s easy to position the car’s extremities. Like in many small saloons, however, the thick rear pillars and relatively small rear screen can make it tricky to see over your shoulder. A rear-view camera is fitted to every model, while front and rear parking sensors and a self-parking system are standard from mid-level Sport trim upwards. Sport also adds bright LED headlights for better night vision. Every C Class gets at least a 10.3in colour screen that's mounted high up on the dashboard for easy viewing and operated by a rotary controller between the front seats. The system is mostly slick, reasonably responsive and relatively easy to use, but the 3 Series' iDrive and the A4's MMI are quicker still and make finding what you want within the menus even easier. All models come with sat-nav, while the optional Comand system adds further functionality to this, such as satellite mapping, car-to-car sharing of traffic situations and a handwriting touchpad for entering names and addresses into the system. A DAB radio is standard on all models, as are two USB ports in the centre console. An upgraded Burmester sound system is an optional extra, but only as part of the costly Premium Plus Package. 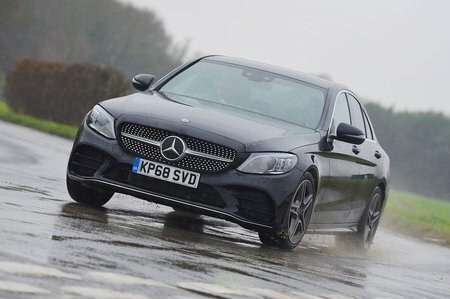 There’s little doubt that the C Class looks the part inside, with enough cues from the bigger S Class to make it look like a stylish and premium product. Indeed, for many, the interior is rather more exciting than the more prosaic designs of the 3 Series and A4. But while the A4 looks less dramatic, it’s second to none in this class for solidity and material quality, whereas the C Class’s perceived quality doesn’t tally with how it actually feels. Start prodding some of those nice-looking materials, such as the centre stack or the silver air vent surrounds, and more often than not they squeak annoyingly or deflect. Look lower down the interior and the plastics become rather low-rent, too.